Revd Canon Norman Baldock was vicar of Ash-next-Sandwich from 1958-67, of Sheerness from 1967-75, and of Margate from 1975-94. After retirement he moved to Birchington, where he was very active as assistant priest, especially as honorary curate at St Thomas, until his second retirement in 2015. Norman played a special part in the growth of St Thomas over the years that he was a focal lead for worship at the Church. His and Pam’s ministry in the Parish and especially at St Thomas impacted on all of us. He always spoke from the heart – week after week he would read the first few words from his written sermon – or talk as he liked to call it, put down the piece of paper down at the front of church, and talk to us – with everyone understanding and taking away which part they needed as they left the church. His showed us how to pray, how to lead intercessions and how to value each other and the roles and skills and talents that we brought to the Church. He never stopped teaching us. Norman was very enthusiastic to encourage each and everyone of us along the path that he knew was right for us and to confirm to us the route we wanted to take. Saying that, Norman would gently tell us if he felt we were not right – I particularly liked that honesty – but Norman always gave me ideas of the next steps which he felt might be more appropriate for me. Norman was the member of the clergy team who grandparents at St Thomas wanted to baptise their grandchildren – he was gentle and enthused about the church family and included everyone in the service. If I had married, I know that I would have wanted Norman to marry me—just as Pam and Peter Boulton did, making their day and start to their married life so special. I have heard so many people say that Norman ‘did a good funeral’ – I fully agree having been to many – he gave the bereaved so much hope and comfort. We at St Thomas missed Norman not being a focus for worship when he decided that it was time to step down – but he was still there for us and up to the week before he was taken poorly, he was still giving me advice, evidence of his experience to support and encourage me in my role. He had passed on his knowhow to others so that the church continued to grow. Pam was part of the ministry team alongside Norman and we value that and we were particularly were honoured to be able to host a lunch to mark the anniversary of the start of a long ministry together. Norman is still close to us all – at a recent training day a number of the PCC remarked on how he had influenced and touched them – and we could all have given examples. What a beautiful funeral he arranged for himself – I know we all took so much from it. And some short excerpts taken from Rev Roy Woodhams’ talk at the funeral. Roy had been Norman’s organist at Margate, and was guided into the priesthood by Norman. 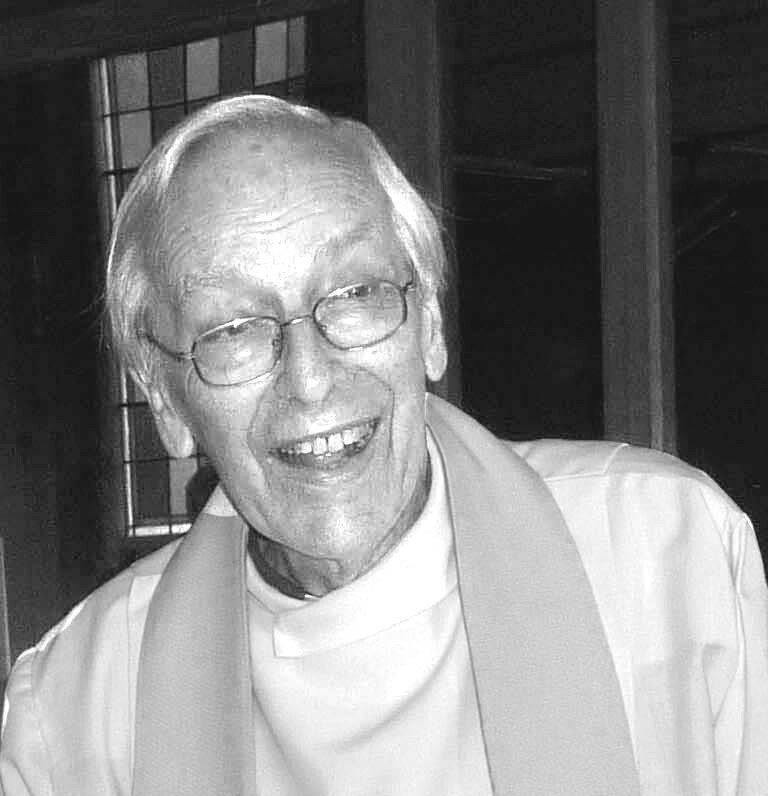 Norman was very sure about priesthood – he believed passionately in what we call the ‘priesthood of all believers’, and that just because somebody was ordained, it didn’t make them special or different in any way – we are all human, and we are all equal in God’s sight, was his philosophy, and he would have been at pains to point out that God made him first a human being, and second a priest! But, a priest he was, and a very fine one at that! A mutual friend described him this week as being “articulately outspoken”! He was certainly never afraid to speak his mind, even when he knew that the outcome might cause problems. There were certainly times when that articulate outspokenness brought him into conflict with, at least, the evangelical wing of the church, though my experience is that even those who might not agree with Norman about things, were always keen to offer admiration for the way he expressed his views! Bishop Colin Fletcher, who might fall into that category wrote to me last week, ‘I owe so much to Norman from my days in Margate’!